USB Bitcoin miners based on ASIC (Application Specific Integrated Circuit) technology are available but if you think you can earn lot of bitcoins from these devices then it is extremely difficult. These are great if you just want to experiment and want to learn how bitcoin mining works. Salaam beautiful peoples! 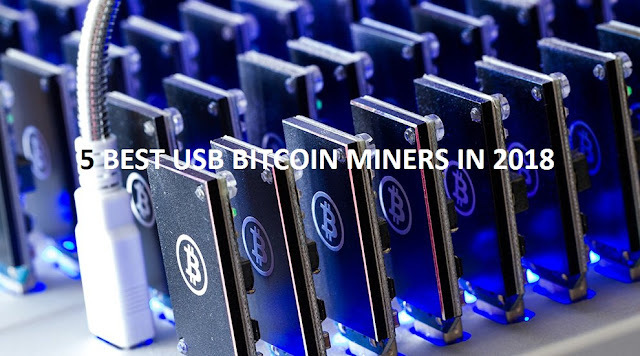 I hope you all are fine'shine, wishing you a very Happy New Year, After 3 months I'm back with my latest article about USB Bitcoin Miners. Sapphire Block Erupters was one of the first bitcoin miners to appear on the surface. Their Hashing Power is 330 MH/s which can give you less than $0.01 per month but it is a good choice if you want to see how bitcoin mining works. This miner has a hashing power of 3.6 GH/s. You can earn $0.09 per month. This miner contains the A3233 core. No fan is necessary with this. With this miner you can earn 0.15$ per month. Although it isn’t exactly a USB miner but it is similar. This device also works as a wireless router. Through this stick, you can easily get about 8GH and you can overclock this device almost twice with adequate cooling. In 1 month, you can easily earn 0.21 USD from this machine. The 21 Computer is the first computer with native hardware & software support for the Bitcoin protocol. That means the hardware to mine a stream of small amounts of bitcoin for development purposes, and the software to make that bitcoin useful for buying & selling digital goods. Developers use the 21 Bitcoin Computer to quickly add Bitcoin-based monetization to any app, service, or device. Please note: The satoshi's you mine provide a source of readily-available bitcoin for application development but are not intended to be used for investment purposes.